So the language adopted by SC Senate on April 18 of revised Proviso 33.25 contained in Section 33 (DHHS) of State Budget STILL contains PLANNED PARENTHOOD FUNDING for now. As reported previously (see below), on April 17, the SC Senate tabled Senator Cash’s Amdt to budget (No. 22) to stop funding certain “abortions” in State Health Insurance Plan, by vote of 24 Ayes – 21 Nays (with Gregory, Leatherman, Massey, Rankin, and Senn joining all 19 Dem’s to table), and so the funding for these certain “abortions” REMAINED IN THE BUDGET (within Section 108). So the Cash Amdt (No. 22) was tabled April 17, by 24 – 21 vote; then the whole of Section 108, WITH THE “ABORTION” FUNDING, was approved April 18, by 37 – 6 – 1 vote. Amendment (No. 22) offered by Senator Cash to stop State-funding of certain “abortions” in the State Health Insurance Plan was tabled (defeated) by a vote of 24 to 21 on April 17 in the “REPUBLICAN”-majority Senate (27 R – 19 D). 1) All 46 SC Senate seats are up for Re-election in 2020, beginning with Primaries in June 2020.
preborn children at the expense of SC taxpayers, go to scstatehouse.gov, and click on “Senators”. 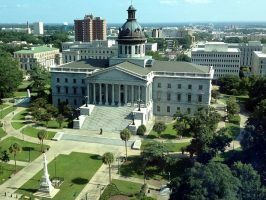 The SC Senate met @ 9:30am Thursday, April 18 to continue debate on the SC State Budget. (H.4000) was reported out of Senate Finance Comm to full Senate on April 10 by Chairman, Senator Hugh Leatherman, with PLANNED PARENTHOOD funding STILL present in Section 33 (DHHS) of Senate Finance Comm Report, because of ineffective Proviso 33.25, which does NOT ban Planned Parenthood funding now, but only “once the federal (court) injunction is lifted”. There are nominally 27 Republicans in SC Senate to 19 Democrats. Their contact info is at scstatehouse.gov – click on “The Senate”, then on “Members”. 2) Not vote for Section 33, nor for the final total Budget, if Proviso 33.25 remains as is, with PLANNED PARENTHOOD FUNDING. Please call beginning today Tues, 4/16, through Wed, 4/17.